For the adventurous whiskey drinker or as an introduction to whiskey cocktails this fruity number will be a crowd pleaser for sure! Beautifully ripe mango, freshly picked mint gently married together with citrus and agave on a base of the smoothest Irish whiskey. We recommend serving in a tumbler over ice with a sprig of mint and topped with a dash of sparkling water for a classy but creative evening tipple. For the gin connoisseur that enjoys floral and zesty flavours, this delicate drink will have even the drabbest guest dancing on the tables. 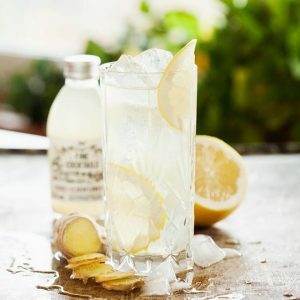 Lively botanicals of gin balanced with subtle flavours of elderflower and lemon finished with an air of lychee and tangy ginger. 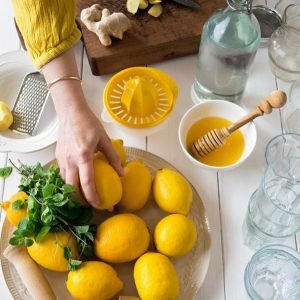 This cocktail feels like its doing you good, the lemon, ginger and honey combo is a classic cold buster so this is perfect if you’re needing some winter comfort. Sweet honey and spicy ginger with aromatic bitters balanced with fresh lemon and ripe pineapple. We recommend serving either simply in a tumbler with ice and a slice or even warm in a mug with an extra dash of brandy if you’re really under the weather! Adding glitz and glamour to any soiree, this cocktail feels like sweet sophistication in a glass. 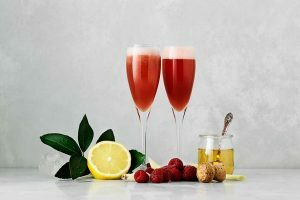 The finest vodka blended in a symphony of only the ripest raspberries, rounded with the nectar of agave and balanced with the freshness of lemongrass, topped with your favourite bubbles. We recommend serving in a champagne flute topped with prosecco and topped with a raspberry for a fancy festive treat. The best thing about all of these cocktails is that they all come ready prepared in a convenient little bottle ready to serve as you like! 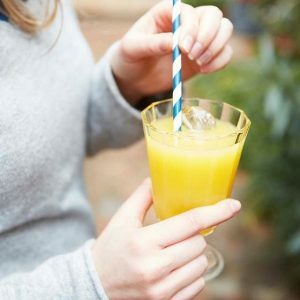 Because really, who can be bothered to faff around with a shaker when you have guests and quite frankly you’d rather spend the time drinking! 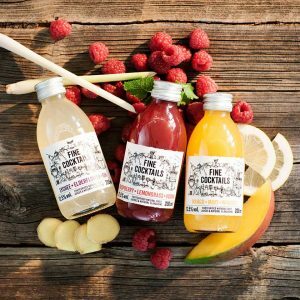 Tails Cocktails are now at Urban Food Fest! GET YOUR FREE DRINK AT URBAN FOOD FEST SHOREDITCH!